Who is Maewyn Succat & Why Should We Care? How do YOU celebrate St. Patty’s Day? Whether you hoist green brew these days or have a colorful story from your younger years, please share your memories of St. Patty’s Day with your TKZ family. 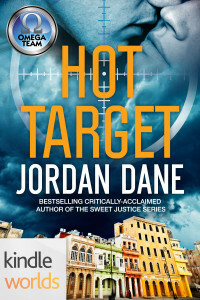 Rafael Madero stands in the crosshairs of a vicious Cuban drug cartel—powerless to stop his fate—and his secret could put Athena and the Omega Team in the middle of a drug war. An Amazon Kindle Worlds series – Ebook bargained priced at $1.99 at this LINK. This entry was posted in #amwriting, Writing and tagged Jordan Dane, St Patty's Day by Jordan Dane. Bookmark the permalink. I don’t celebrate St. Patrick’s Day. I might have a drop of Irish blood, but certainly not enough to get into the spirit. That said, I found your post fascinating. Funny how things get scrambled as life goes on. 40 tons of dye? Wow. Fun facts. I didn’t know these things either, Sue. I’ll be wearin’ the green (and now blue jeans, thank you very much). And your purse always hold a coin or two. And a rainbow be certain to follow the rain. And may God fill your heart with gladness and cheer. I love this. Thanks, Jim. This is wonderful, Jim. Love it! And, even here in a non-Irish rural Colorado mountain community, this entire week has been high visibility for law enforcement. Lots of extra patrols watching out for those who might have indulged a bit too much. Whoops on the Patty. My bad. Thanks for the link, Terry. Fun! I hoped you’d take the correction in stride. Leaving comments before waking up (time zone thing) sometimes means my word choices or tone aren’t really what I intended. I’m glad you posted it, Terry. Good woman. The green, white, and orange tricolor is flying at my house even now. Plus, I’ve put in two entries to the local limerick contest. Faith and Begorrah! You’re an inspiration, Mike. Good luck on the limerick contest. Any chance of you posting your entry here? In Charlotte are old traffic cones. Ha! My sister lives in Charlotte. Good one! I’ve told this before: I am [Muscogee] Creek, Kiowa, and a tiny bit of Cheyenne. So obviously my name, Porter, isn’t from one of those tribes. All my life, I had wondered about where the name came from. When I began to research the matter, I learned that the three most likely places where the name Porter originated were England, Scotland, and Ireland. But as it turns out, it’s likely our Porters came from Ireland. (Horny Celts, as it were.) My great-great uncle, Pleasant Porter, was the last principal chief of the Creeks before Oklahoma statehood, and there is speculation that he would have been elected governor of the new State of Sequoyah if the white people who ran the government in Washington had kept their word and allowed Indian Territory to become a state controlled by American Indian people. And, the little Oklahoma town of Porter is named after him. Porter is a peachy place. And a new possibility. The first American to give credence to American ballet in Europe was the late prima ballerina, Maria Tallchief. Ms Tallchief danced her way into the hearts of Europeans and, of course, Americans were very proud of her. As it turns out, Ms Tallchief’s mother’s maiden name was Porter. And she was Irish. So–is it possible that we . . . Well, I can only hope so. Until genealogy determines otherwise, I can hold on to that hope. My wife is German, possibly part Irish. There was some family belief that they are related to the infamous. cigar-smoking outlaw Belle Starr. Who knows? But. In our house today, we will not celebrate. I understand this blog is not my personal journal. But I want to say this. Rather than celebrate, we will remember a great Irish lady, my son’s mother-in-law, Pat Russell, who passed early this morning. I would appreciate your prayers for the comfort of her, and our, family there in Buffalo. 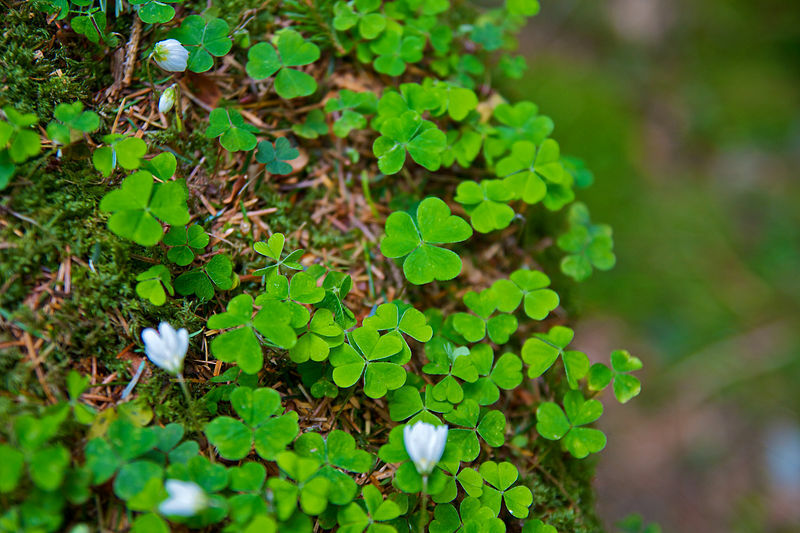 I wish you a great and fun St. Patrick’s Day observance and celebration. I’m so sorry for your loss, Jim. You and your family are in my prayers. I may raise a glass in memory of Pat. Very sorry, Jim. Here’s a toast to a grand lady. I’m having dinner at a friend’s house. She’s making corned beef and cabbage, which I don’t like much. However, her Irish soda bread is divine and the company is excellent. Happy St. Pat’s Day, all. 1. My wife has a mini-nubian goat trip(herd). Her first two does were sisters, Abigail (“Abby”) and Erin Go Bragh (Erin). She did not name them, they came to her pre-registered. Erin was born on St. Patty’s Day, 2011. I also meant to add that the colors in the Irish Flag are Green, White, and Orange, White represents peace between the two religious groups. Wow. Very interesting side stories, Phil. Thank you. Cheers! Some people are into pinching. Happy St Patrick’s Day (can’t spell his real name!)!! As about a quarter Irish we celebrate a wee bit but not much. My mother and father eat Irish food and wear green but apart from wearing my shamrock earrings I don’t do much (not a huge fan of the rather stodgy Irish food:)) My mother’s maiden name is Guilfolye which supposedly derives from the name of a flower that grows along the river Foyle – one day I’d like to research that side of the family tree and learn more (we know much more about the Scottish MacGregor side). I’m afraid of what I might find if I research family history. Present day scalliwags are enough. St. Patrick’s Day is really an American holiday. The Irish picked it up from us. My Irish friend Dave used to sneer at the holiday. “I’m Irish 365 days a year. St. Patrick’s Day is amateur night.” At the first newspaper I worked at, the staff always had a big St. Patrick’s Day Hawaiian luau, with roasted pork and pineapple and rum. The theme was – wait for it – The Lovely Houlihans. BTW – “Danny Boy,” supposedly a timeless, traditional Irish ballad, was written in 1905 by an English lawyer. In the play for which he wrote it, it was sung as a love ballad by a woman to a man. In re: Driving the snakes out of Ireland. Snakes were a metaphor for the heathens. Patricius returned to Ireland to drive out the non-Christians. Guess he can claim success on that one. Who’s going to question him now? I loved reading the discussion! Lots of fun. St Paddy’s day is hit or miss in our household. If it falls on a weekend, we are more likely to go out and celebrate than when it falls on a weekday. I am mix of origins, but there is definitely Irish in there, many a lovely Irish maiden married the Scots, English, Dutch, German and Cherokee gentlemen in my family tree. I wore flashing shamrocks today as my bow to my Irish genes. Thanks, Jordan, for the fun facts about the first St Patrick! We can all claim a wee bit of Irish blood today. I’ll drink to that! Like John said, Patrick drove out serpentine men, not reptiles. His primary detractors were the Druids and similar Pagan leader, which Patrick would have labelled as snakes or demons for their practices. So as how the serpent represents the devil, thus it was representing his religious foes. Hullo, this is Berthold the leprechaun. Now while I am not old enough to actually have met anyone who met Pádraig themselves, I do know a bit more of his story. For instance did you know that he while he was the son of a Deacon and grandson of a Priest (they were allowed to marry back then), he had rejected the gospel as a youth (as is wont for many a minister’s child). And he was actually first taken to Ireland as a slave, kidnapped right off his family’s homestead in Bannavem Taburniae (probably an area in coastal western Scotland). He was taken by raiders at the tender age of 17 and sold as a slave to a cruel Shepherd, who left out in the cold and rain and wind for three years on a starvation diet, until he ran away. During that time though he gave his heart to the Lord God. He ended up in a group of barbarian sea adventurers for several years and gradually made his way back to Ireland, as the Holy Spirit led him to be the missionary to that people whom he had previously hated with all his heart. In the end he was not only a missionary but a friend and personal advisor to several Kings, even the High King. This in spite of attempts of his opponents, the Druids, attempting often to have him killed or sent away. I have a feeling that while he would probably not be averse to having a drink or two with his friends, he would not likely condone the way his holiday is celebrated today. Would he be particular about his libation being a pleasant shade of green? As long as it started that way, and didn’t get that way from sitting in a warm room too long, probably not. Now my brothers Gnillii and Boffin will drink just about anything, so we’re okay there. Now that my little brother is done with the sermonizing, I have a bone to pick with some of your statements above, particularly “THERE ARE NO FEMALE LEPRECHAUNS”. 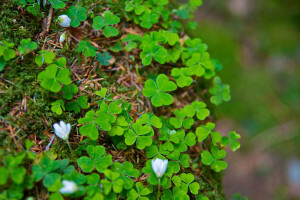 It is not true that there are no female leprechauns, my brothers and me all came from a mother, who was a very lovely female. All of us spent many of our childerly years snuggled on her lap, at the warmth of her breast, tugging at her silky smooth beard. Berthold: Ahem….this is family website. Uh….large hearts….yes…large hearts full of love, and kindness. All of that said, if any normal human was to see any of us, or our women folks, in the nakedness of our God-given suits of clothes, they’d be able to easily tell the different… then they’d likely run and scream…because they don’t know beauty they see it. I mean, who wants a tall long legged thing with measurements of 36x24x36, when you have a 3 feet tall beauty with a lovely 30x28x30 to snuggle up to.